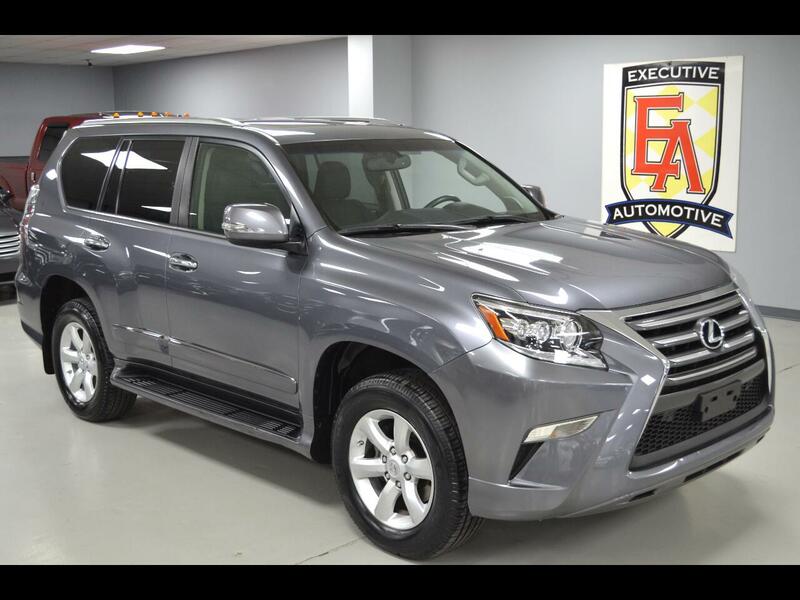 2016 Lexus GX460 AWD, Nebula Gray Pearl with Black Leather. NEW TIRES! Packages Include - Comfort Package: Heated/Cooled Front Seats, Heated 2nd Row Seats, Multi Zone Automatic Climate Control. Navigation Package: Color Multi Media Display, Screen Voice Command, Single DVD/CD Player, Remote Touch Controller. Options Include: Tow Hitch, Exhaust Tip, Bluetooth Connection, Smart Device Integration, HD Radio, MP3 Player, Auxiliary Audio Input, Steering Wheel Audio Controls, Back-Up Camera, Blind Spot Monitor with Rear Traffic Alert, Parking Sensors, Brake Assist, Fog Lights, Rain Sensing Wipers, Heated Steering Wheel, Memory Seat, Running Boards, Turn Signal Mirrors, Keyless Entry, Push Button Start, Driver/Passenger Adjustable Lumbar, Cruise Control, Heated Mirrors, Mirror Memory, Rear Spoiler, Universal Garage Door Opener, Auto Dimming Rear View Mirror, Power Windows, Power Locks, Power Mirrors, Power Tilt, Power Liftgate and more! Contact Kyle Porter at 816-616-2500 or email: kyle@executiveautomotive.com for additional information. Thanks for your interest in our GX 460!